There are numerous ways you can get involved in parish life. We have several committees focused on improving the parish and maintaining its vibrancy. These include committees such as Communications, New Member & Growth, Outreach, Stewardship, Mission, Fellowship, Fundraising and more! Many of our programs in service to others provide excellent fellowship opportunities. 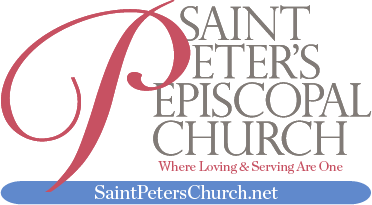 Below are some additional fellowship activities we enjoy at St. Peter’s. Coffee Hour is held every Sunday after the late service. We provide a variety of refreshments, and it is a great time to connect with friends old and new. One could say the idea was “brewed” from prolonged socializing when we exchange “The Peace” during service. We are often encouraged to get back to our seats by the reminder that we can continue our socializing during the coffee hour afterward!. Helping Hands is an in-reach ministry with a mission to offer loving support to any parishioner who is dealing with a difficult situation such as an illness, new baby, loss of a loved one or any other challenge. Since 2010, the Helping Hands group has grown to about 25 members and provides invaluable support by offering meals, cards, words of encouragement and social gatherings to lift people’s spirits during their times of need. Life can get downright tough sometimes, and we are there for each other when it does. The Pastoral Care Ministry at St. Peter’s keeps our homebound parishioners in touch with our community during their time of infirmity or physical absence from the church. Members of our team visit them, bring them communion, send them birthday cards, weekly bulletins, and newsletters to provide emotional encouragement and spiritual support and to remind them that they are integral to St. Peter’s community.